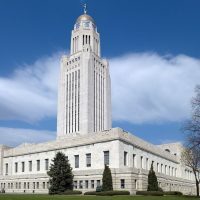 Nebraska workers who leave their job to care for a family member with a serious health condition could qualify for unemployment benefits under a bill advanced by lawmakers yesterday. The proposal is aimed at workers who quit their job but are looking for other work that can better accommodate their schedule. The Department of Labor says roughly 100 claims were filed in 2018 for people who had left their jobs to care for a member of their, they would typically receive about $355 per week.